Owning a rental property can be a great way to earn extra money on the side or even account for one’s primary income. While it’s a great investment, most people can’t buy a rental property outright. 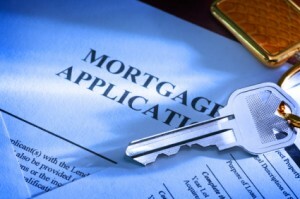 Just as homebuyers finance homes, landlords need to look at their mortgage options carefully. Property Management can be very difficult at times, so if you don´t want to do it yourself this time, hire this property management company. Review these three tasks before taking the next step in property management. Owner-Occupied (OO) Loans: Buying a personal residence with the intentions of transitioning it into a rental property requires the owner to live in the residence for 12 months prior to renting it out to tenants. Financing for OO properties is favorable because the loan terms stay the same even after the property becomes a rental. Other benefits of OO loans include having time to renovate during occupation, learning property specifics for better future management and making sure the property is suitable for satisfied tenants. Non-Owner-Occupied Loans: Getting a loan for property specifically to be rented out is more complicated. The minimum down payment for a straight rental property is 20 to 25 percent. Further, landlords need to have a positive credit history to qualify for a loan. Purchasing a straight rental allows the new owners to absorb the leases already in place. New landlords receive the existing security deposits and partial rent. They also don’t have to worry about finding new tenants right away and renovations can hold off until the leases are up. Those tenants’ applications were approved by the previous owner, so their credit history and timeliness is unknown. Keep this in mind in case lease termination is preferred. Given the economical state of the mortgage industry in the past few years, acquiring a loan is a lot more difficult as lending is stricter. Cheaper, non-owner occupied properties come with steeper fees, although interest rates are competitive. It is possible to receive financing for 30 years at 4.5 percent. A sizeable down payment yields better interest rates from banks and mortgage lenders. Additionally, a good credit score is always a positive for lenders to see on an application. The terms can vary greatly depending on the score pulled at the requested loan period. It is also important to have money set aside for property management-related expenses. Sometimes, proof of residuals is necessary to be approved for a rental property loan. Further, investigate rental properties on the market to stay current with pricing and amenity standards. It’s important to shop around for the most affordable loans when looking to finance a rental property. Try both banks and mortgage lenders, as they have different programs to better suit needs on a case-by-case basis. Make sure to pick a lender who is experienced in dealing with investment properties because although their guidelines may be stricter, they are the most knowledgeable. Again, investing in a positive cash flow rental property is a great way to supplement income. However, knowing the necessary preparations and qualifications is ultimately what makes or breaks the opportunity. Is Now the Best Time to Refinance?